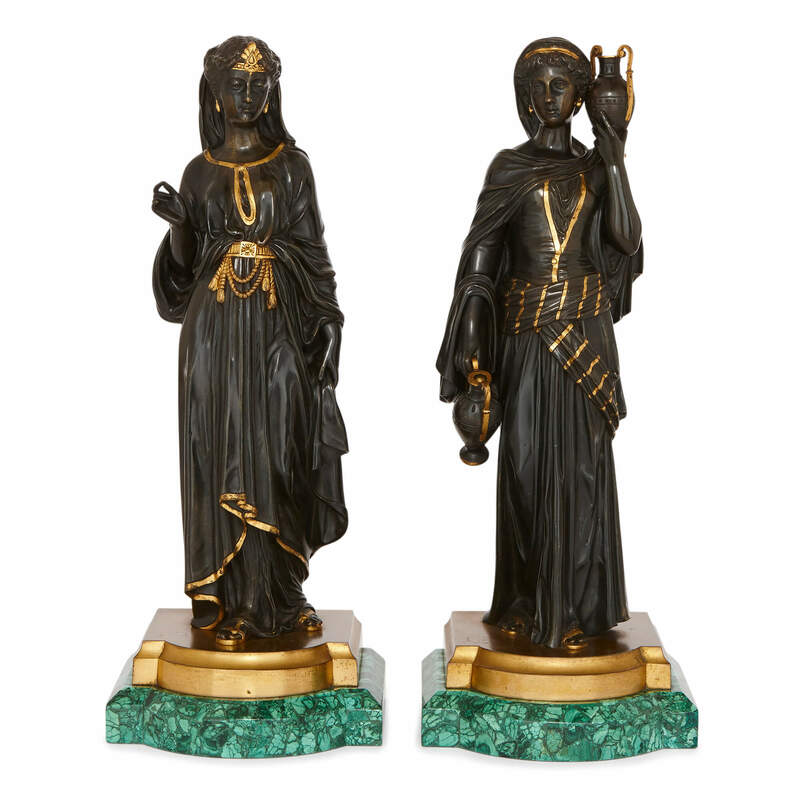 These charming, delicate sculptures, depicting two Egyptian women, are beautifully worked in bronze and feature intricate detailing and gilt highlights. 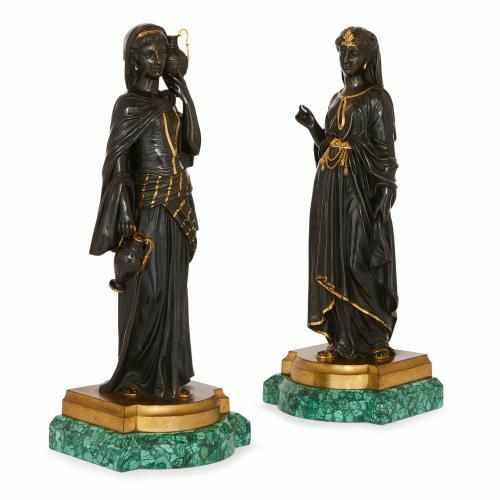 This pair of patinated bronze figures are among many Egyptian style figures produced in France over the course of the 19th Century. 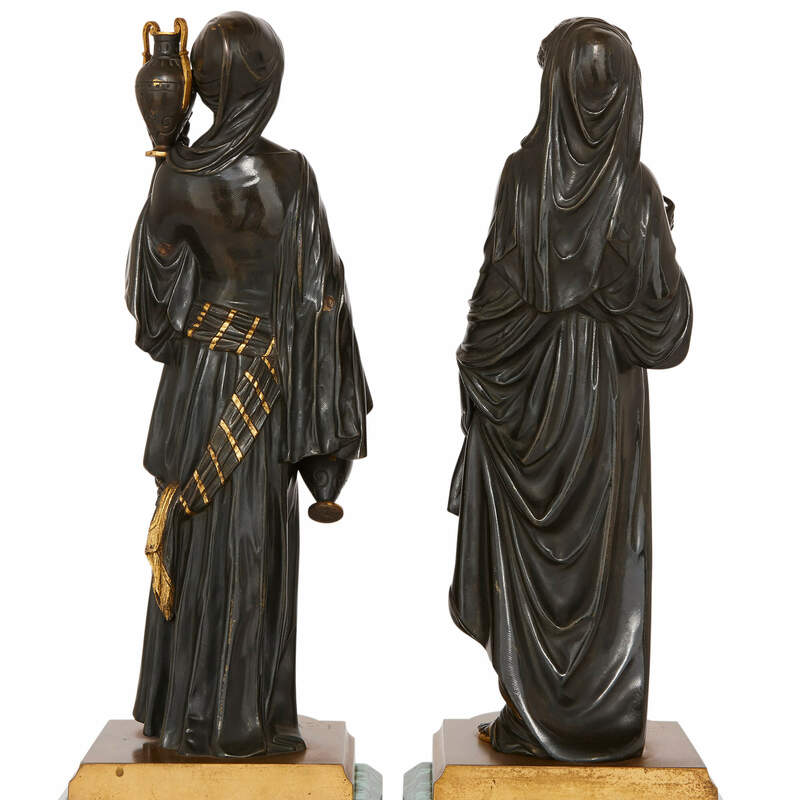 It was in France that the so-called 'Egyptian Revival' style was popular, as makers responded to new excavations of Ancient Egyptian art by attempting to imitate it. 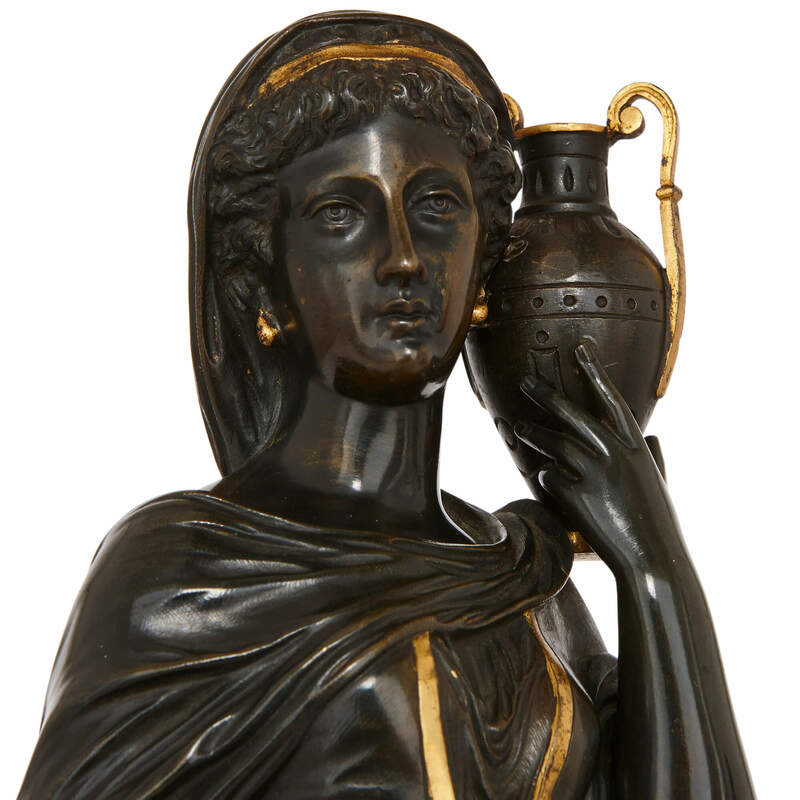 The Egyptian Revival style was particularly popular during the 'Empire' period of Napoleon I's rule, in which France invaded Egypt. 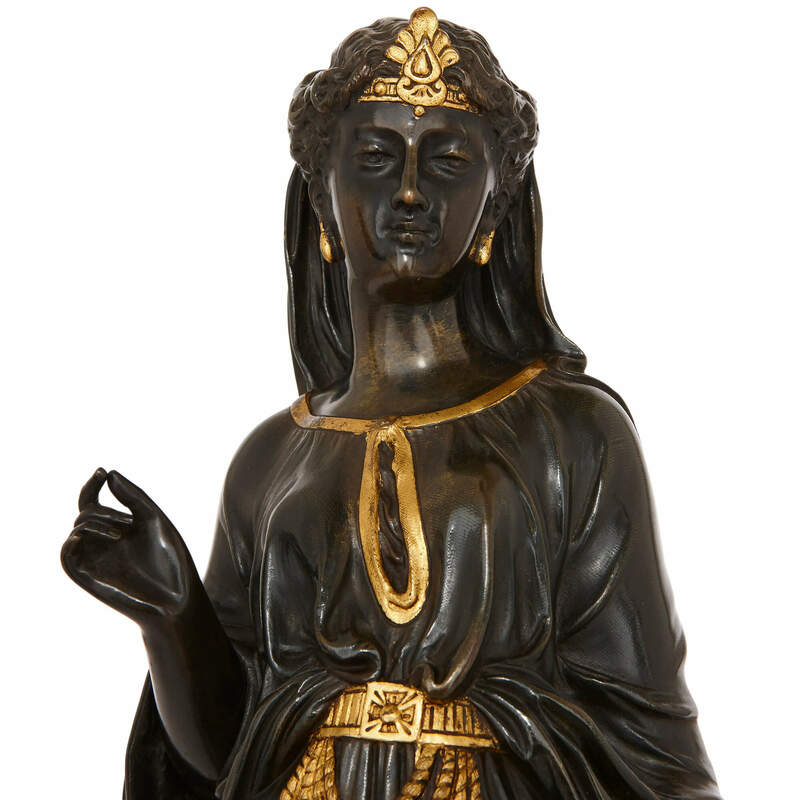 These figures take the form of Ancient Egyptian female figures, cast in bronze with a dark, rich patina. 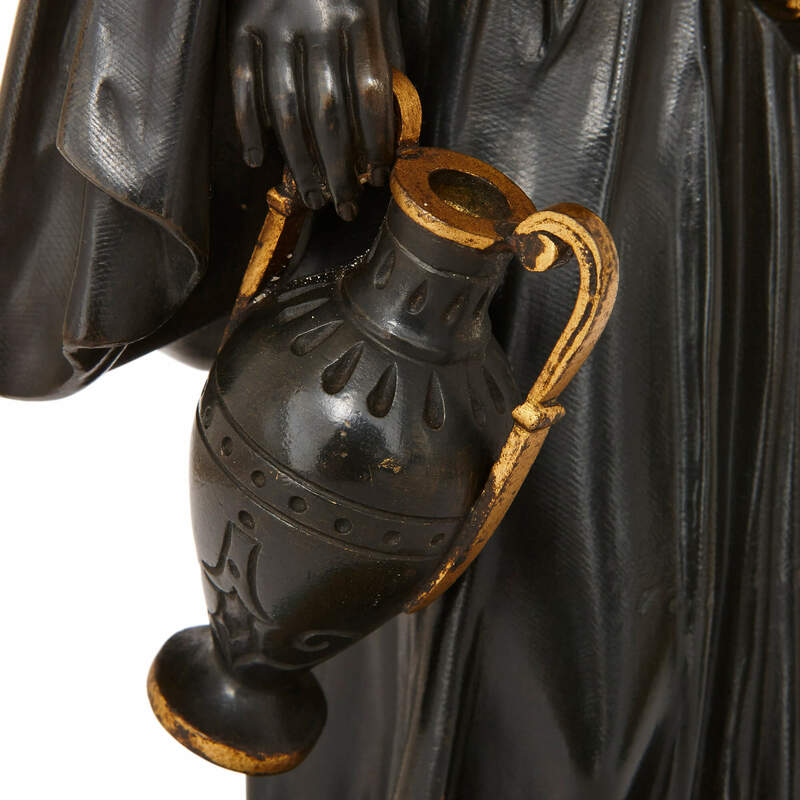 Both are shown wearing long robes and headdresses with gilt detailing: one figure is holding two urns, while the other holds her hand out in a subtle gesture. Each figure is set on a gilt bronze plinth, set on a green malachite base.